CSK skipper MS Dhoni has been fined 50 percent of his match fees after his fierce on-field argument with the umpires. 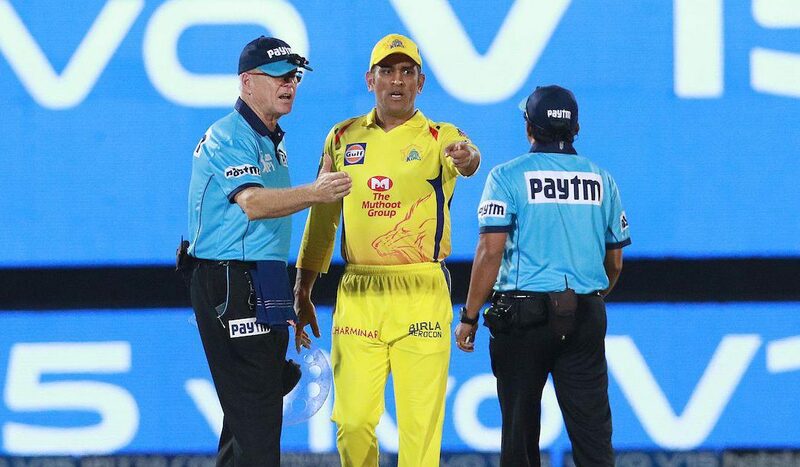 Dhoni became the first-ever player to win 100 Indian Premier League(IPL) as captain on Thursday but this major landmark was overshadowed by his uncharacteristic outburst at on-field umpires during the last over of the tense chase. Chennai Super Kings had needed 18 from the last over to win against Rajasthan Royals in Jaipur. The over was started well with Ravindra Jadeja hitting Ben Stokes for a six in the first ball Rajasthan Royals took control with the wicket of Dhoni in the third ball of the over. In the ever exciting game that followed, with 9 needed in the last 3 balls, Mitchell Santer walked out to bat for CSK. After Ben Stokes delivered the fourth ball, umpire Ulhas Gandhe signaled a no-ball for a waist-high full toss. However, he retracted the decision after the leg umpire hinted the opposite. This confusion caused Captain Cool to lose his temper who stormed on to pitch to confront the umpire. Eventually, he was fined 50 percent of his match fees for the outburst and IPL press release stated that he breached the IPL Code of Conduct.